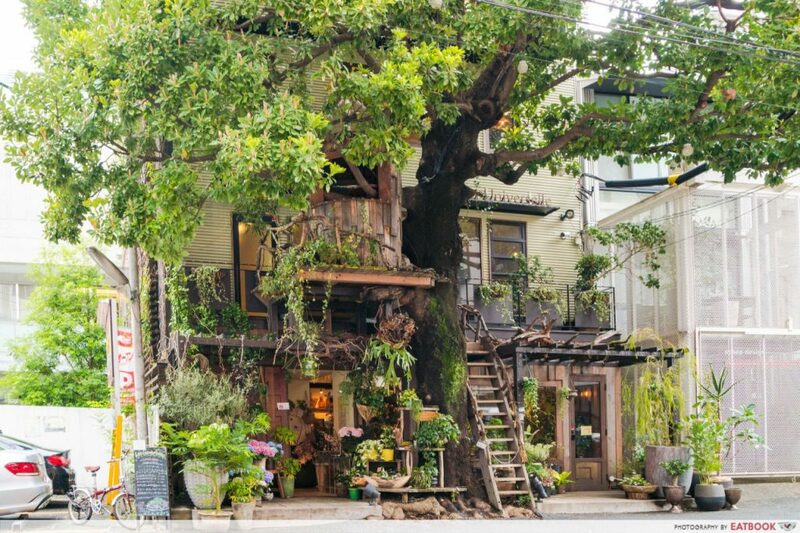 As someone who grew up watching Berenstain Bears, I’ve always wondered what it’s like to live in an actual treehouse. 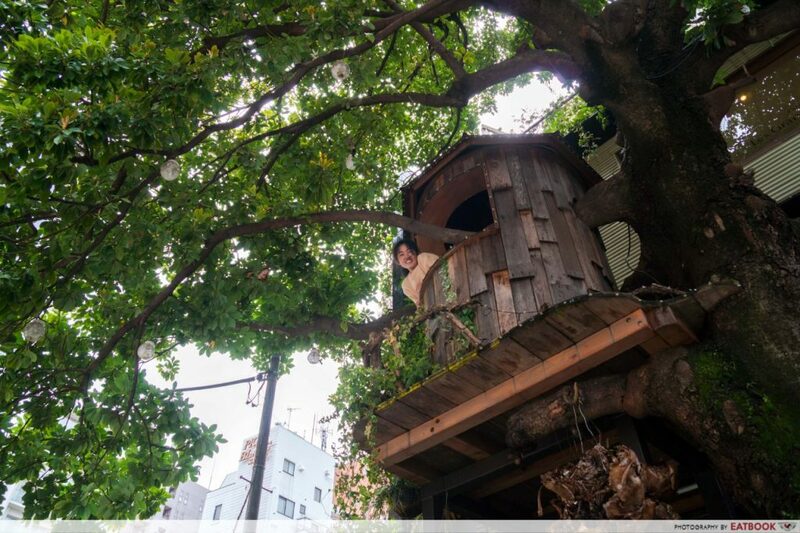 While doing that is impossible in Singapore, despite us being a city filled with trees, I got a little feel of it at treehouse cafe Les Grands Arbres during my last trip to Tokyo. The menu here is small, with a focus on seasonal, veggie-based dishes. 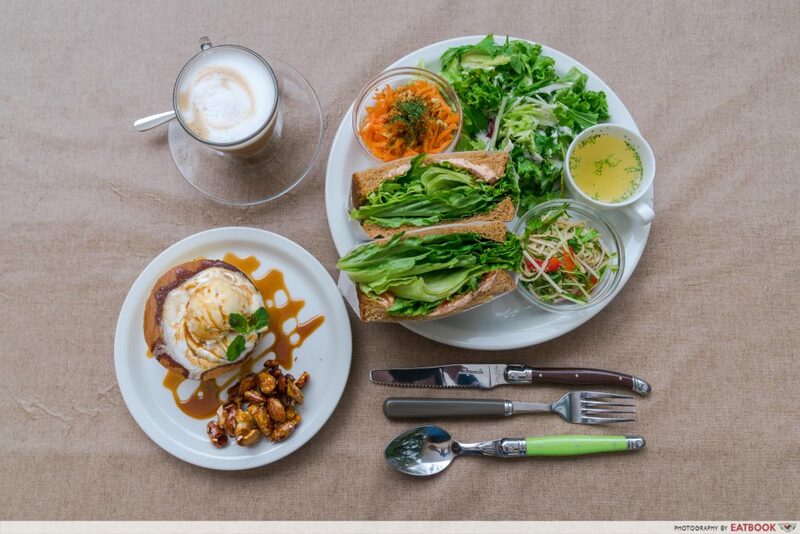 You’ll be able to find a number of salad options, along with some mains and a couple of sweet treats. 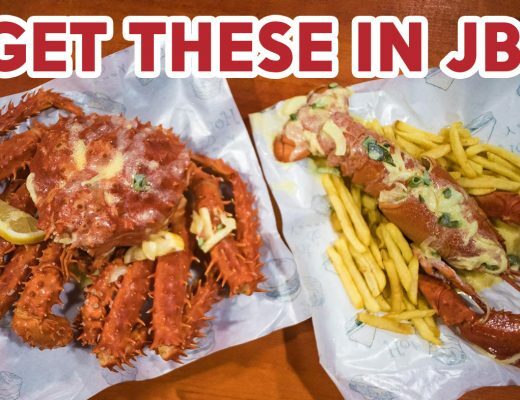 Everything is in Japanese but there are photos beside each dish so you’ll have an idea of what you’re ordering. 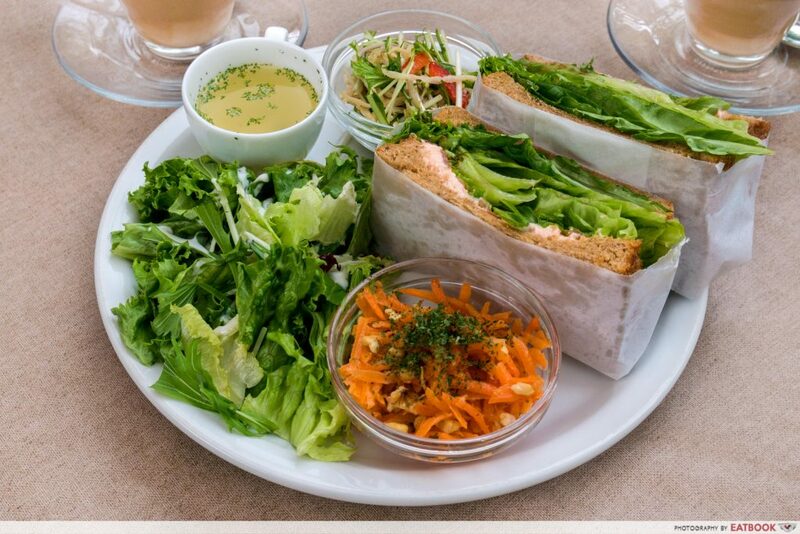 As we aren’t major fans of salads, especially not when we’re overseas, my colleague and I got the only sandwich on the menu – Salmon Dip Sandwich (1,280 yen/~S$15.64). The dish came with three types of salads. 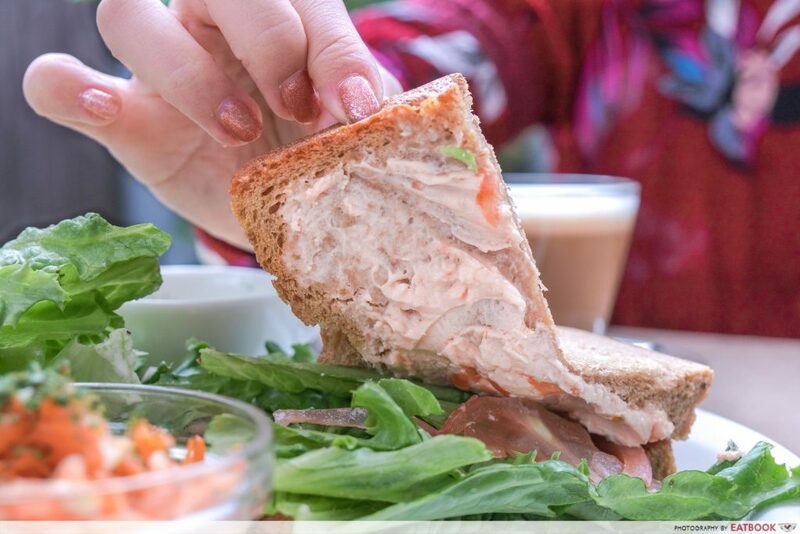 Comprising fresh lettuce, slices of tomato, salmon cream cheese spread and two slices of toast, the sandwich was honestly nothing to shout about. Every mouthful was filled with crunchy lettuce and a very subtle taste of the salmon spread. I enjoyed the sides way better. 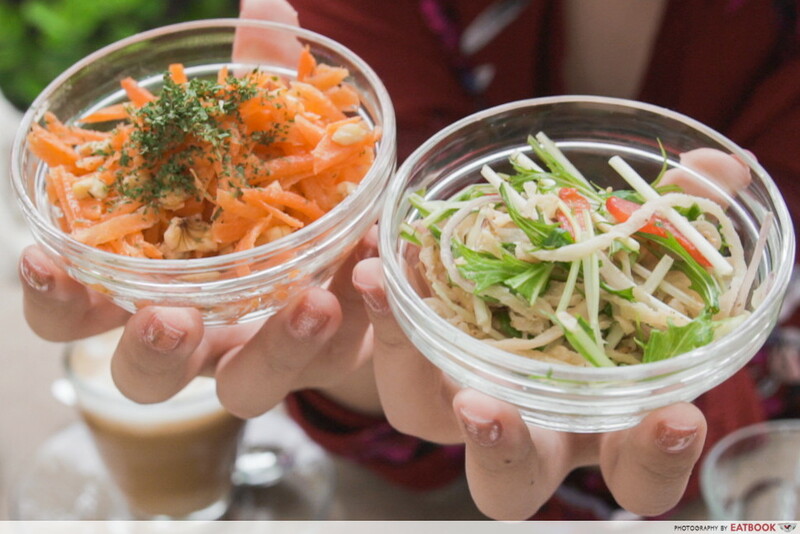 Crunchy and light, the carrot salad was filled with the natural sweetness of the root vegetable. The parsnip salad was equally tasty, though not as flavourful. The veggies served were much fresher that what we usually get in Singapore, and this ended up being quite a refreshing and feel-good dish after all the indulgent food we’ve had in Tokyo. We also got a Pancake with Caramel Sauce (620 yen/~S$7.58). Thick and fluffy, this tasted more like chiffon cake than pancake. It was very eggy, with the caramel sauce and vanilla ice-cream adding some sweetness. The caramelised almonds and cashews at the side provided some crunch to the rather one-dimensional dish. 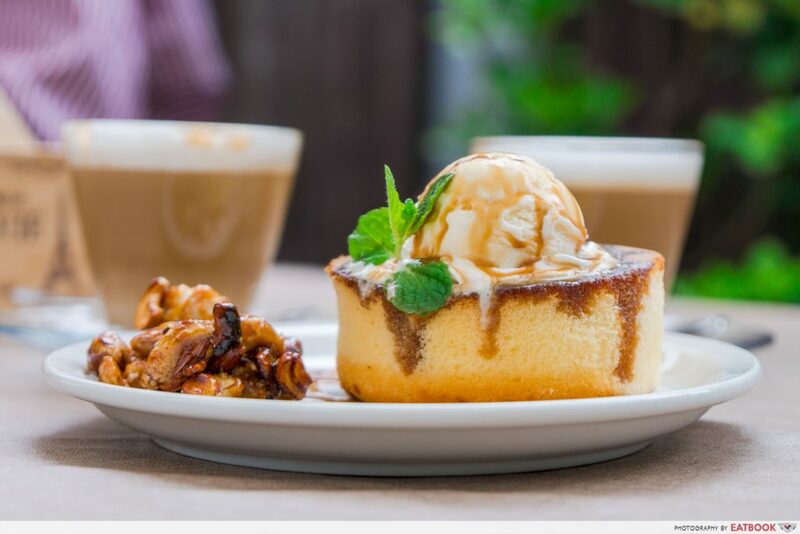 For all the mains and desserts at Les Grands Arbres, you can add 310 yen (~S$3.79) for a drink. Options include coffee, tea and juices. I wouldn’t recommend the coffee as it tasted like Nespresso, which isn’t quite worth the price. While the food wasn’t impressive, the cafe’s ambience certainly made up for it. If the weather allows, be sure to opt for a table on the rooftop, as you’ll find yourself surrounded by lush greenery. The cafe holds only 12 tables in total, so you might want to come during off-peak hours to make sure you get a seat. When we were there at 1pm on a Sunday, the cafe was almost full, with mostly locals and a cute little puppy. After you’re done with your meal, head down to level two, where you’ll be able to go into this tiny hut built on the tree. 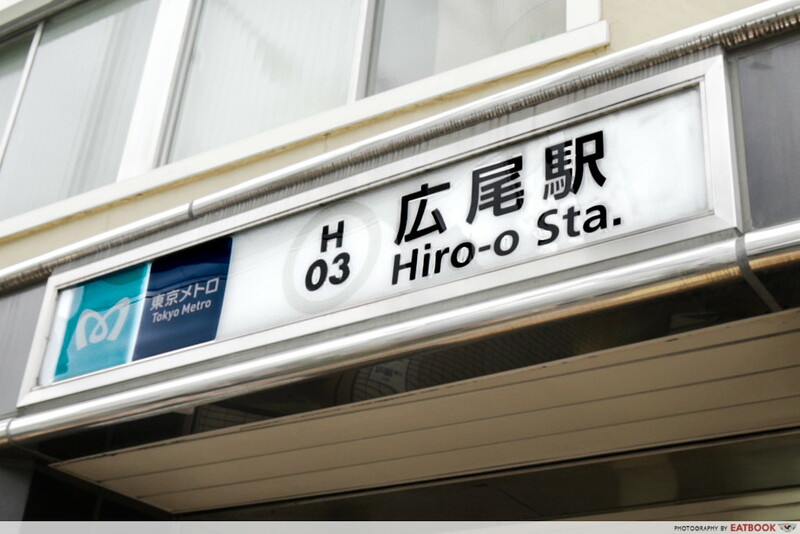 The cafe is just a stone’s throw away from Hiro-o Station. Once you come out of Exit 1, turn right, walk straight, and take the first right turn. From there you’ll definitely be able to spot the eye-catching treehouse. While the grub at Les Grands Arbres wasn’t the most satisfying for a foodie tourist on a mission, I can see myself coming back here if I were to live in the city. I’d go straight for the salads, as the veggies were really fresh and tasty. 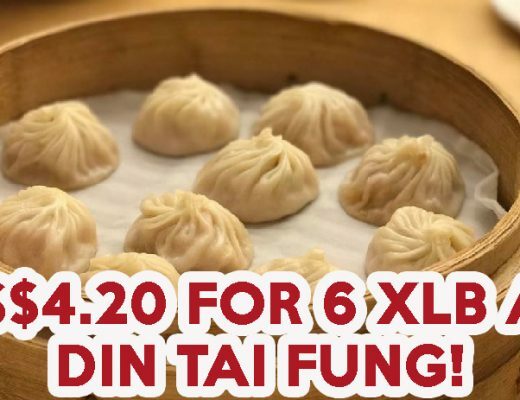 Coupled with the beautiful and relaxing ambience, this is a wonderful spot for a chill, healthy meal with friends on weekends. 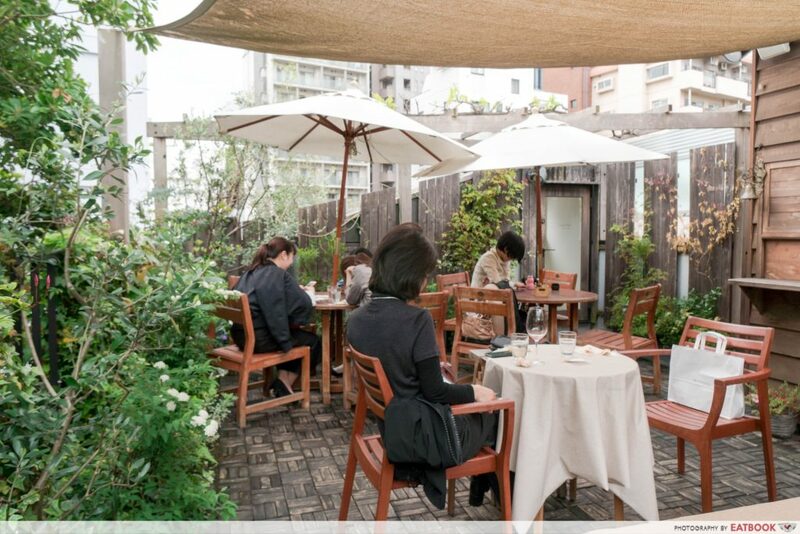 For tourists, dine at the cafe only if you want a break from all that ramen and tempura. Otherwise, save your money and just snap loads of photos outside. If you’re looking for good food in Tokyo, check out Red Rock, which offers value-for-money beef donburi. 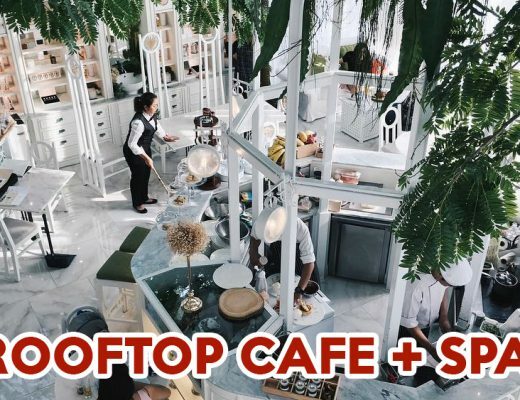 For cool cafes in Singapore, pop by these double-identity cafes that transform once night falls! 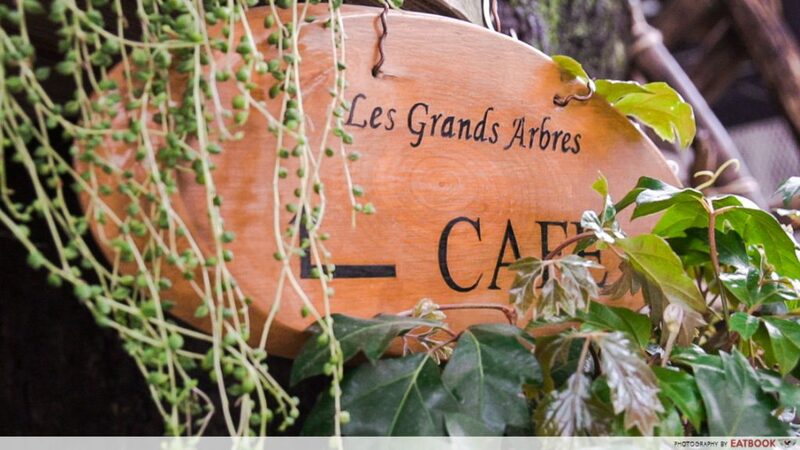 Les Grands Arbres is not a halal-certified cafe.